FOUR MEN HAVE been sentenced to 32 years’ imprisonment for their involvement in the supply of drugs and the sexual abuse of young girls in Newcastle upon Tyne in England. The men, all aged in their late 20s, were sentenced today after being found guilty of 22 separate offences. The offences happened between 2007 and 2014 when the five complainants in the case were aged between 13 and 16. According to the Crown Prosecution Service (CPS), victims were targeted because of their young age and vulnerability. They were befriended by the group and then invited to various properties around Newcastle. Alcohol and drugs, including cocaine and amphetamines, were made freely available to the young girls. 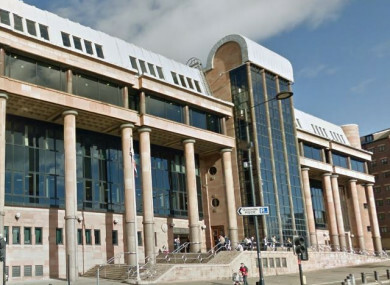 The men, Soran Azizi (28), Palla Pour (25), Ribas Asad (29), and Saman Faiaq Obaid (29) were convicted following a trial held at Newcastle Crown Court last month. “I would like to extend my thanks to the five victims in this case, who have bravely assisted us in piecing together all relevant evidence to present the clearest possible case to the jury,” Jim Hope, from the CPS said. The nature of the offending in this case was predatory, with the offenders selecting targets by virtue of their vulnerability before pretending to develop caring relationships with them. Hope said that if there are “any young women or girls who feel that they are being groomed in this way”, to report it to police “either directly or with the help of a third-party support agency”. Email “Four men jailed over sexual exploitation of young girls in Newcastle”. Feedback on “Four men jailed over sexual exploitation of young girls in Newcastle”.